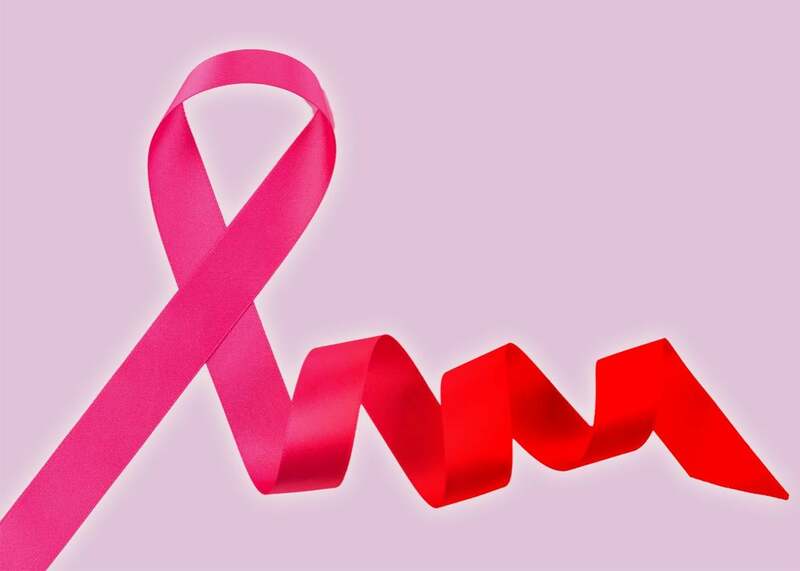 Breast cancer awareness can learn a lot from tuberculosis. Before there was breast cancer awareness, there was tuberculosis advocacy. It was a lot more effective. Photo illustration by Slate. Image by RTsubin/Thinkstock. As October gears up, it’s time to brace ourselves not only for the oranges and browns of Halloween and autumn, but for pink. A whole lot of it. That’s thanks to National Breast Cancer Awareness Month, a monthlong fundraising effort that has been met with increasing skepticism since its founding in 1985. The sheer commercialization of the cause can come off as crass: Susan G. Komen for the Cure has come under fire for corporate partnerships that critics say allow companies to buy public goodwill despite engaging in business practices linked to cancer. (Think of the pink soup cans, pink bits for oil drilling, and pink buckets of fried chicken.) Even more damningly, it’s unclear whether the marketing barrage is even working to actually move the needle in any meaningful way: Sure, breast cancer may now be the best-funded cancer in the United States, but many experts argue that all that extra cash has only resulted in minimal gains. Today, breast cancer is the most culturally visible disease-specific “awareness” campaign, but it is far from the only. We have puzzle pieces for autism, red dresses for heart disease, a month of no shaving for prostate cancer, and ribbons of all colors for all causes. But even though breast cancer carries the torch these days, it is far from the first disease to be branded in this way. In fact, breast cancer’s annual publicity blitz and fundraising efforts owe almost everything to another, older disease—tuberculosis. The anti-TB movement of the early 20th century showed how astonishingly effective these tactics can be when employed directly: After spending two centuries as the leading cause of death in North America and Europe, the campaign helped the disease plummet to the seventh slot by 1950. (Modern science helped, too.) And even now, the original campaign may offer a blueprint for salvaging the deluge of inappropriate and ineffective disease advocacy of today. Tuberculosis is a chronic infectious disease that is easily spread between people, primarily attacks the lungs, and kills some 50 percent of its victims if left untreated. The disease had long stymied the nascent medical profession, who largely agreed it was hereditary and did not know how to treat it. It wasn’t until 1882 that doctors discovered TB was caused by infectious bacteria that could be passed from person to person. The upshot of that discovery was that there were practical strategies people could take to combat it—regular infection control measures, improved hygiene, and public education about how to avoid the disease. Thanks to these practical measures, it soon became the “first specific disease against which voluntary efforts were mobilized,” according to historian Richard Harrison Shryock. Basically, once it was clear that taking proactive steps could reduce the spread of tuberculosis in their communities, local anti-TB societies began springing up across the country. A national association opened in 1904 helmed by Dr. Edward Trudeau, a physician and TB patient himself. but any kind of mail will carry them. In other words, the seals became a public and symbolic way for people to show their support for fighting the disease—the same way that pink ribbons in October allow donors to signify their civic virtue. And they worked: That first year, Bissell raised $3,000 for Brandywine Sanatorium, more than 10 times her goal. In subsequent years, the National Tuberculosis Association scaled up the sale of Christmas Seals on a national level. The seals were even redesigned to feature the double-cross—the same as today’s pink ribbons, and a symbol dating back to the Crusades that evoked a metaphorical battle against a mighty disease. Within a few short years, Christmas Seals had become iconic, raising millions for TB societies. They spent that money on based on local needs: Many localities built new TB wards to keep sick people away from healthy ones. In Chicago, Christmas Seal funds were used to study the correlation between industrial labor and TB, since so many factory workers contracted it. In Vermont, they paid for measures to protect granite workers from the respiratory harms of flying dust. Other programs focused on quality-of-life concerns: In New York, seals funds were used for reintegration initiatives for former patients, since the city’s aggressive TB control measures involved long stretches of mandatory isolation and lost wages. In Pennsylvania, funds went toward books, toys and tutors for a pediatric TB facility. Local TB societies funneled 6 percent of their total revenue from Christmas Seals sales to the national association, which spearheaded nationwide education campaigns about how to detect TB symptoms, as well as practical instructions for avoiding the disease (covering your mouth when coughing, limiting contact with sick people, not sharing cups or utensils, washing your hands, and not gathering near public spittoons). Many facets of breast cancer advocacy are borrowed from the anti-TB movement: the “branding” of disease as an enemy to be defeated, the commodification of altruism as a fundraising tactic, the mobilization of civic enthusiasm, and the eventual dissemination of educational material to reduce the disease’s burden on society. Certainly, breast cancer has similarly proven to be monumentally effective at attracting money: A combined $6 billion annually goes toward the disease from private and public sources, thanks to a combination of direct fundraising and political pressure generated by the breast cancer awareness movement. The National Institutes of Health spends more on breast cancer than any other cancer, and Susan G. Komen for the Cure is among the country’s best-funded cancer charities. One 25-year study in Canada showed that annual mammograms had no impact at all on cancer outcomes. Even worse, mammograms frequently turn up abnormalities that wouldn’t have developed into deadly cancers: A 2012 study in the New England Journal of Medicine estimated that some 1.3 million women have been overdiagnosed over three decades, many of whom underwent unnecessary preemptive treatments. In 2016, the U.S. Preventive Services Task Force formally dropped its recommendation for universal annual mammograms for women in their 40s. Nonetheless, Komen encourages women to proactively defend themselves against breast cancer: In 2011, Komen spent $231 million of the $472 million they raised on education and screening. Unfortunately, all the screening in the world will not solve the breast cancer problem. Another failing of the breast cancer movement is that it is less locally focused than the TB movement was. Komen’s affiliates have less control over programming and funnel at least 25 percent of funds raised to national headquarters (compared to the 6 percent cut taken by the National TB Association). The problems with this top-down approach were outlined by author Gayle Sulik in her book Pink Ribbon Blues: “Komen National makes the rules, signs the deals, holds the purse, markets the materials, and manages the press. …The franchise model promotes efficient brand distribution, but it fosters an insular, hierarchical structure that undermines the charity’s capacity for consensus building and collaboration.” Even as Komen touts its affiliates’ grass-roots initiatives, it still tend to emphasize early detection as the focus even locally, including bilingual services to drive up screening rates among immigrants or mobile mammography in rural areas. Breast cancer has seen no such decline, but the movement has seemed less willing to reassess its own goals. Resources poured into screening awareness could be diverted into activism centered on environmental causes of the disease, patient services during or after treatment, or even treatment itself—a far more prohibitive barrier to care than the cost of diagnostic mammograms. While Komen does pay some attention to these, a more fundamental shift in focus seems unlikely. “I think we’re always going to have a message about the importance of getting screened,” said Komen spokesperson Andrea Rader. Breast cancer may have taken up the TB mantle when it comes to being the largest organized force against a disease. But by not adapting its same localized and responsive efforts, it’s hamstrung its own ability to effect change. It should be lauded for how it has advanced cultural discussions of illness narratives, raised large sums of money, and reduced the stigma once faced by women who suffered in silence. But the breast cancer movement has reached its endpoint as far as what is achievable through current tactics. We are indisputably aware of the problem posed by breast cancer. The problem is that the movement hasn’t given us anything meaningful to do about it.